More than 13,000 people voluntarily gave blood to assist the Fiji National Blood Service last year. This was revealed by the organisation’s national co-ordinator Joseva Bolaqace during the World Blood Donor Day celebration. 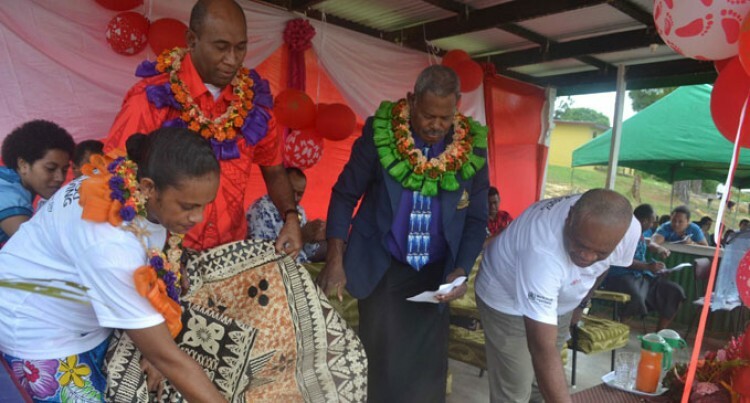 Acting Permanent Secretary for Health and Medical Services Dr Meciusela Tuicakau was chief guest at the celebration held at the Nadogo Secondary School ground in Labasa yesterday. “Last year we recruited more than 13,000 blood donors, Basically, this allowed us to reach the 80 per cent target,” said Mr Bolaqace. He said this year they are looking forward to achieving 85 per cent. “Fiji is looking forward to achieve 100 per cent by 2018. However, so far 62 countries have achieved 100 per cent,” Mr Bolaqace said. Dr Tuicakau said the ministry strongly believed that community involvement and ownership were critical in combating health issues in our beloved nation.